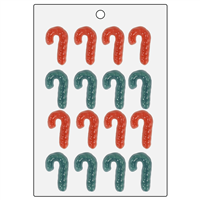 Create mini candy cane soaps to top off Christmas and Holiday themed soaps with the Candy Cane Mini Mold. Scent with our Peppermint Stick Fragrance Oil 540 for the ultimate peppermint soap! 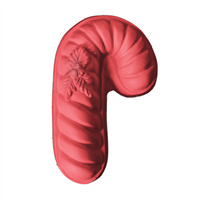 Create soap or bath fizzies in the shape of candy canes with this cosmetic mold. Each candy cane has raised detail for each stripe with a cluster of three holly leaves and three holly berries towards the top. 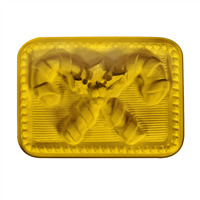 The Candy Canes Soap Mold is a bar that has two crossing candy canes that are connected by holly and outlined by a dotted border. This mold can be used to make beautiful holiday soaps!